Overall median survival time was 95 days (95% confidence interval [CI], 73 to 113 days; range, 7 to 1,114 days). In dogs with epistaxis, the hazard of dying was 2.3 times that of dogs that did not have epistaxis. Median survival time of 107 dogs with epistaxis was 88 days (95% CI, 65 to 106 days) and that of 32 dogs without epistaxis was 224 days (95% CI, 54 to 467 days). 引用文献：Evaluation of factors associated with survival in dogs with untreated nasal carcinomas: 139 cases (1993-2003). The range of survival times (0.5 to 42 months), median survival time (8.5 months), and 1- and 2-year survival rates (38% and 30%, respectively) were better than those expected for other methods of treatment. 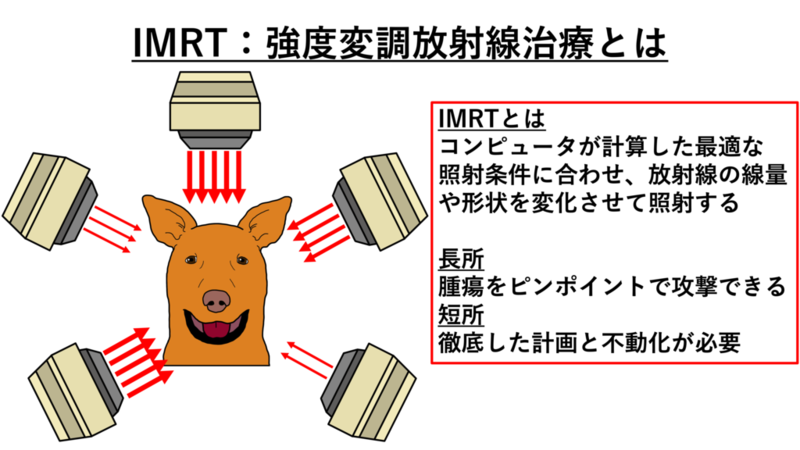 引用文献：Radiotherapy of malignant nasal tumors in 67 dogs. Overall median survival time for dogs in the radiotherapy and surgery group (47.7 months) was significantly longer than time for dogs in the radiotherapy-only group (19.7 months). 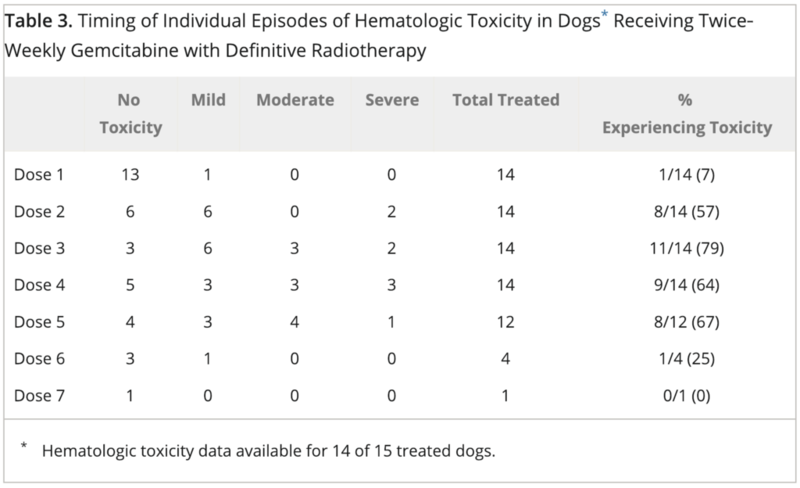 引用文献：Outcome of accelerated radiotherapy alone or accelerated radiotherapy followed by exenteration of the nasal cavity in dogs with intranasal neoplasia: 53 cases (1990-2002). Cisplatin was administered as prescribed in 12 of 18 dogs. Cisplatin was discontinued in 2 dogs because of azotemia. In the other 4 dogs cisplatin was not administered as prescribed because the dogs were withdrawn from treatment due to disease progression or radiation effects. 引用文献：Cobalt radiation with or without low-dose cisplatin for treatment of canine naso-sinus carcinomas.